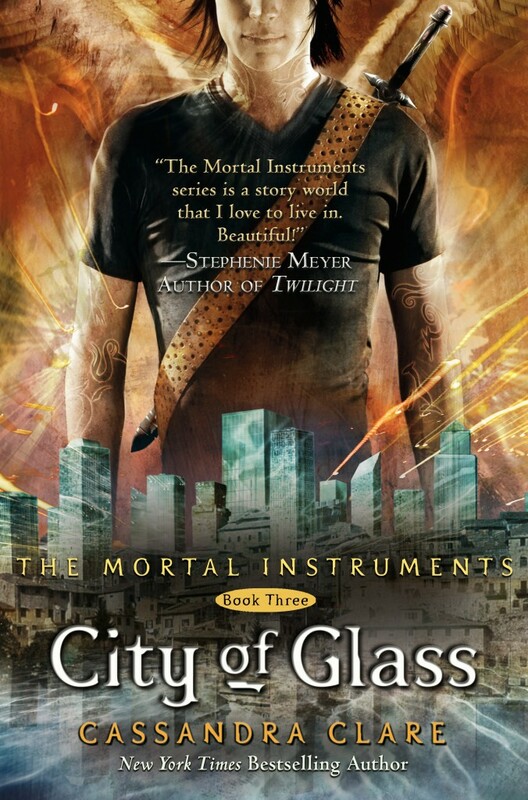 The Mortal Instruments series has been on the New York Times Best Sellers (Series) for 95 weeks. Including next week: 96! On top of that, The Mortal Instruments is still #1 on the list; that's four weeks straight that The Mortal Instruments has been #1! 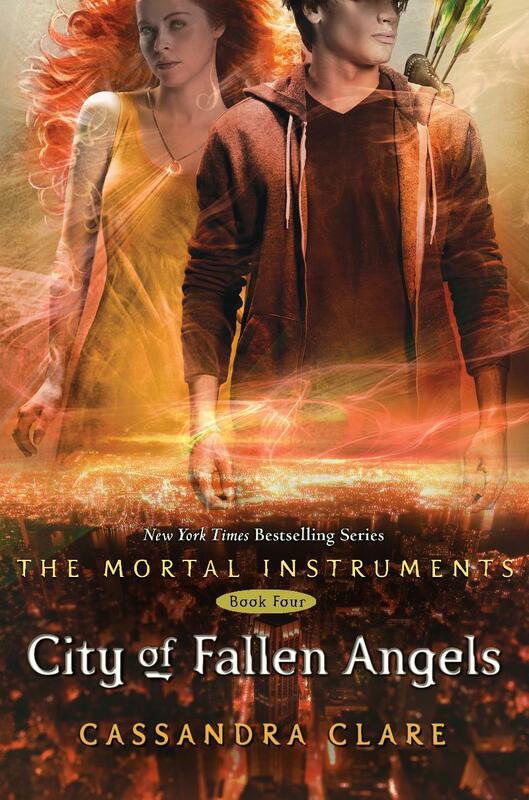 Major congratulations for Cassandra Clare are in need. Let's keep the streak going! 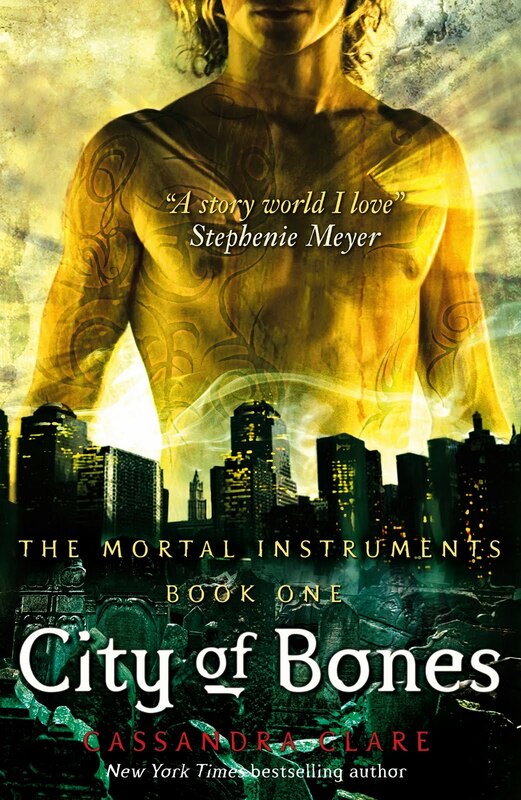 The alleyway scene in City of Fallen Angels, from Jace’s perspective. Jace will never forget the look on Clary’s face after he says it. Shock at first, blanching into pain. He has hurt her before, never because he wanted to, though he had lashed out in his own blindness. The time she walked in on him kissing Aline and he said every awful thing he could think of as if the mere words themselves might have the power to make her disappear, to send her back where she was safe. He has always cared more about whether she was safe than anything else. If he didn’t, none of this would be happening. Jace wonders if she can see it in his eyes, that terror, the shards of all those dozens of dreams in which he stabbed her or choked her or drowned her and looked down at his hands afterward, wet with her blood. She backs up a step. There is something in her face, but it isn’t fear. It’s infinitely worse. She turns, almost tripping in her haste to get away, and rushes out of the club. For a moment he stands and looks after her. This is exactly what he wanted, a part of his mind screams at him. To drive her away. To keep her safe, away from him. But the rest of his mind is watching the door slam behind her and seeing the final ruin of all his dreams. It was one thing to push it to this point. It is another to let go forever. Because he knows Clary, and if she goes now, she will not ever come back. Somehow he is outside the club and the rain is pelting down like gunfire. He sees everything in a single sweep, the way he always has, the way he was trained to do. The white van at the curb, the slant of the street as it curves back toward Greenpoint, the dark opening of an alley behind the bar, and Clary at the corner, about to cross the street and walk out of his life forever. She yanks her arm out of his when he reaches for her, but when he puts his hand against her back she lets him guide her into the alley. His hand slides across her back to her arm as she whirls to face him — and he can see everything around them again: the wet brick wall behind them, the barred windows, the discarded musical equipment soaking in puddles of rainwater. 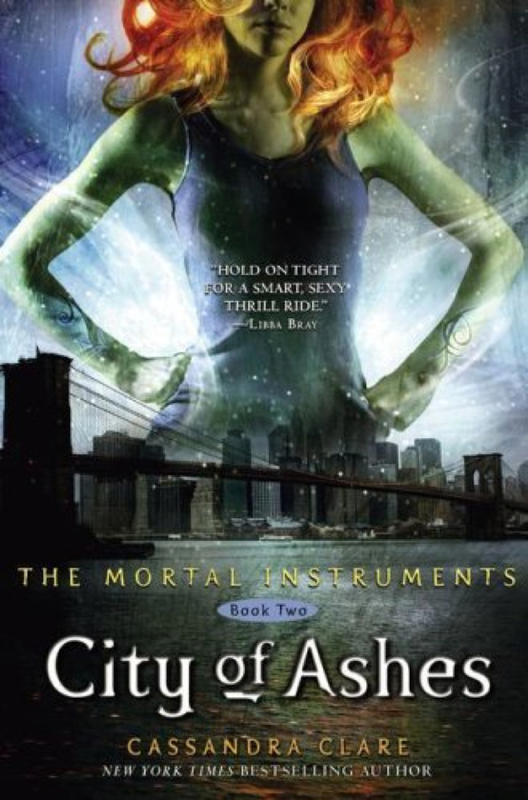 And Clary is lifting her face, small and pale, her mascara running in glittery streaks beneath her eyes. Her hair looks dark, pasted to her head. She feels both fragile and dangerous in his grasp, a glass explosive. She moves away from him and stumbles, blindly, and he can’t stop himself: he reaches for her. She is delicate and shivering in his arms and they are both soaking wet and he can’t stop. 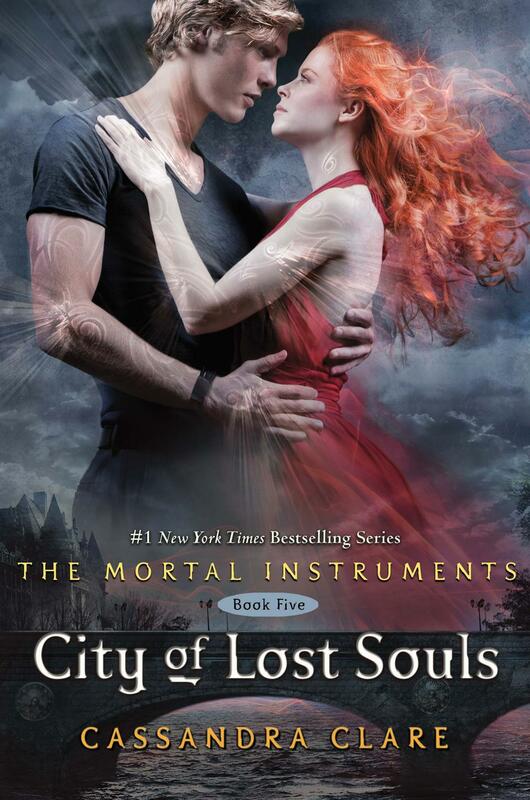 Her mouth is part-open, and be brings his own lips down against hers, tasting lipstick and sweet ginger and Clary. I love you. He can’t say it, so he tries to tell her with the pressure of his lips and his body and his hands. I love you, I love you. His hands are around her waist, lifting her, and he had forgotten: she isn’t fragile; she is strong. Her fingers are digging into his shoulders, her mouth fierce against his, and his heart is pounding like it’s trying to get free of his body as he sets her down on a broken speaker. He is drowning, and it is too late. He reaches for her like an addict reaching hopelessly for the drug he has sworn not to touch again, having decided it is better to burn up in one final blaze than live forever without it. And the gray world blazes up around him with color as they come together, bodies slamming hard against the wall behind them. The water soaking her dress has made it as slick as motor oil under his fingers. He catches and pulls at her, desire reshaping their bodies with every touch. Her breathing is ragged in his ears, her eyelids half-closed and fluttering. He is touching her skin everywhere he can: her throat, the back of her neck, her collarbones hard under his fingertips, her arms, smooth and slippery. Her hands are on him, too, no shyer than his own, and every touch seems to burn away the rain and the cold. She is gripping his shoulders when she raises her legs and wraps them around his waist, and he makes a noise he didn’t even know he could make. It is too late to go back now. His hands clench involuntarily, and he feels the fabric of her tights rip under his fingers, and he is touching her bare skin. And their kisses taste like rain. And if he wasn’t falling before, he is falling now. He thinks of the Fall, of angels tumbling forever in fire, and Icarus, who had flown too close to the sun. He had thought of the agony of the fall, the terror of it, but never that it might be joyful. Lucifer had not wanted to fall, but neither had he wanted to serve, and as Jace gathered Clary close against him, closer than he had ever thought they could be, he wondered if it was only in the act of falling that one could be truly free. So this is the short story told on the backs of postcards between Magnus, Alec, Isabelle, Jace, Clary and Simon. It takes place between CoG and COFA while Magnus and Alec are in Europe.